My car powers the cigarette lighter even when the keys are removed, Which – very slowly – drained the batteries when gadgets where left connected to it. 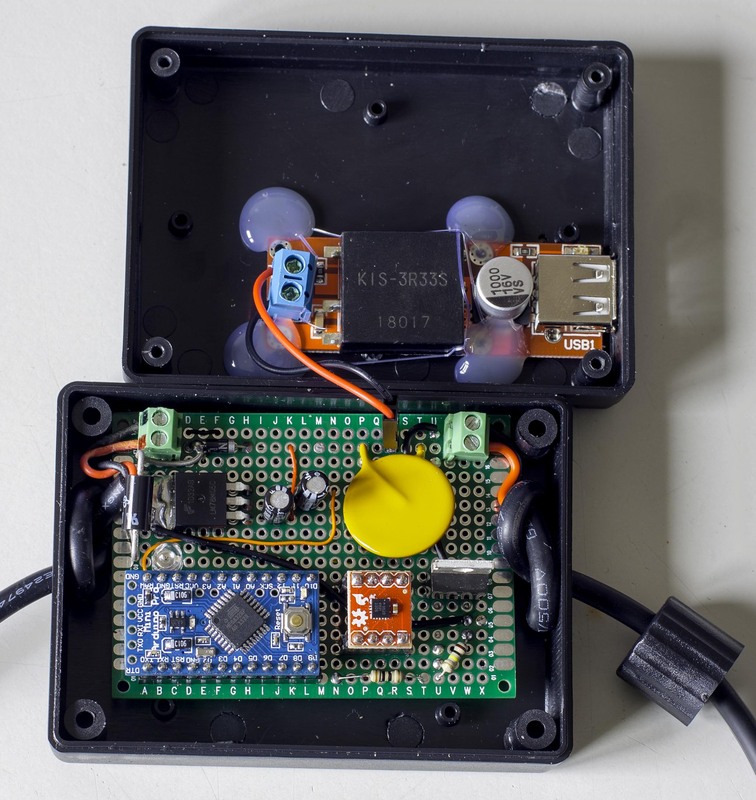 One option would be to open the dashboard to connect a second outlet to the right cable on the car radio, but that would be too easy.The basic Idea was to use an ADXL362 accelerometer to know if the vehicle was moving in the last 10 minutes or turn the output off. I first wanted to use the ADXL362’s internal motion activation mechanism, but failed to get the result I wanted, so I resorted to a purely software alternative ruining on the Arduino Pro Mini. For this I forked the effort of driving the accelerometer started by Anne Mahaffrey to my own, freshly created GitHub repository. 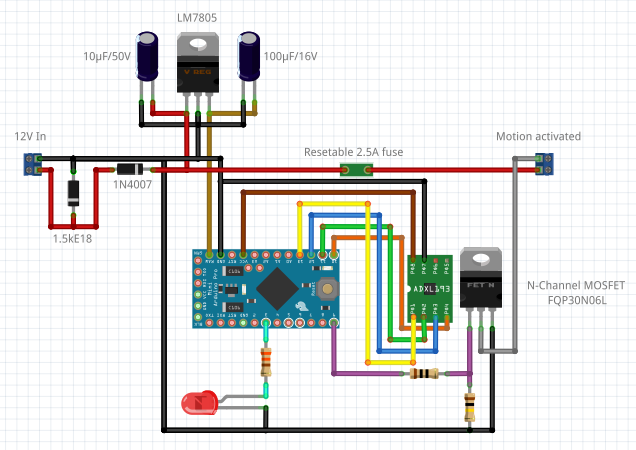 Finally glue everything together with a small arduino sketch : ADXL362_Acc_LED_2_1.zip. I just added a 12V-to-USB power board to directly feed an USB powered gadget to the back side of the box, and it’s finished. There is much room for improvement : use low power modes on the Arduino, use the built-in motion sensor mode of the ADXL362, use a less power-hungry solution than a LM7805, tailor all my protection components for the same nominal current, but for the moment, it works. 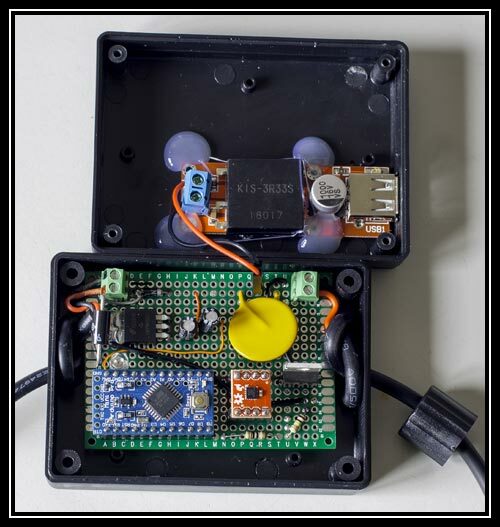 Ce contenu a été publié dans Électronique par Pixel_K, et marqué avec Arduino. Mettez-le en favori avec son permalien.